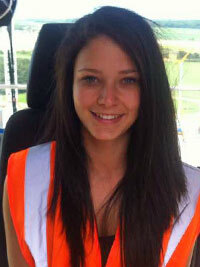 Casey Elsby is a crane operator at Laing O’Rourke. She trained as an apprentice, studying at the National Construction College in Bircham Newton and working on site to learn a mixture of theory and practice. Casey, please could you give us a quick recap on your career to date? I applied to join Select Plant Hire’s Lifting Technician scheme and – after passing a detailed selection process – I completed a one week induction at Laing O’Rourke’s Explore Manufacturing facility in Worksop that taught me all about how Laing O’Rourke and Select Plant Hire operate. I then attended the National Construction College at Bircham Newton for three months participating in a NVQ Level 2 Lifting Technician course. After my time at college I was qualified to operate crawler cranes, pedestrian operated tower cranes (POTCs) and tower cranes. 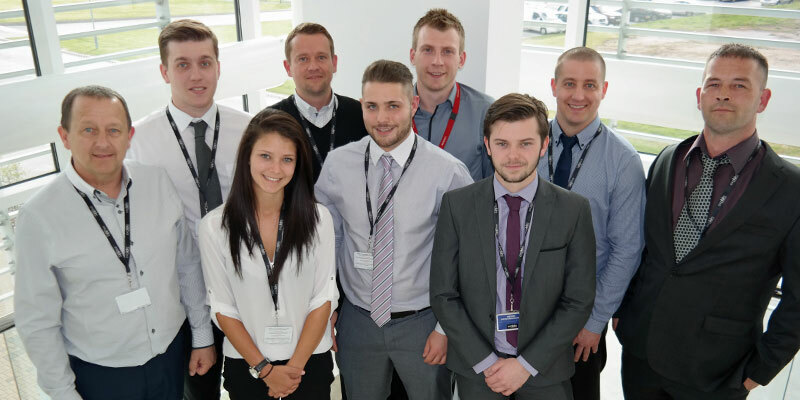 To gain competency I was supervised working at Select’s St Neots depot and released on to sites around the country, where I have gained valuable experience working in the construction industry. In sectors where women are underrepresented, like construction, there’s a myth that women should be considered as rare creatures, like unicorns. How do we change this? There have been some positive changes but I think it’s important to realise things won’t change overnight. If somehow we can show that the differences between men and women can be viewed positively, rather than as a barrier, then I think that would help create a more integrated workforce. How can organisations create a positive and inclusive culture where gender truly doesn’t matter? Casey in her ‘office in the sky’! Organisations need to show that gender doesn’t necessarily matter – by having the correct education and training within a workforce the gender gap can be lessened and understanding improved. People have many different qualities that they can bring to the team and in the end that will benefit the company as a whole. 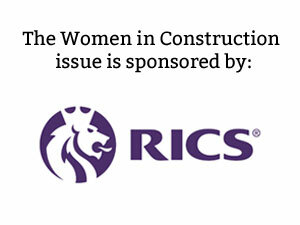 What would you like to see in the construction industry to help normalise women in traditionally male dominated roles? Research suggests that 11% of the construction industry in the UK is female and only 1% of site workers are female. I think it needs to start from schools – girls need to know that it’s OK to be interested in jobs that aren’t traditionally stereotypically female, and if they are interested there needs to be the support network for them to pursue their ambitions, from teachers to parents, to education authorities and employers. I hadn’t considered a career in construction sector until I was 19, and that’s largely because I wasn’t ever informed about it. If it wasn’t for my dad I would never have known how to get into the industry – ultimately I have him to thank for me being where I am now. Even though I have only been in construction for a couple of years, from a personal view I have seen positive changes towards women in this trade, but it still has a way to go. 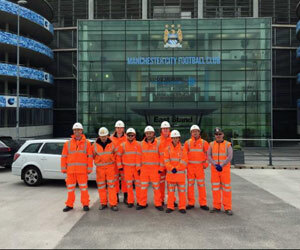 One of the ways the construction industry is going in the right direction to help normalise women in traditionally male dominated roles is by introducing apprenticeships such as the scheme I enrolled on with Select – this gives everyone the opportunity to start a career in an industry that they never thought was possible, regardless of gender. I think it’s important to stay realistic with this kind of topic, though. 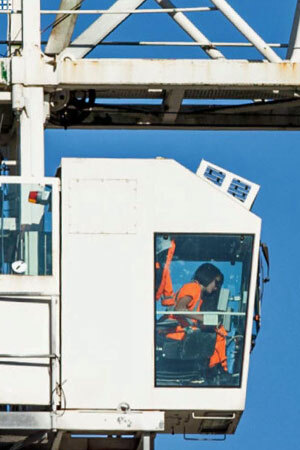 I’m not suggesting that every woman in the world should want to start operating a crane (just as I wouldn’t expect every man to want to operate a crane)! I just want people to know that it’s OK to pursue a career if they are passionate about it, and that by and large, forward-thinking companies will see talent as exactly that. I was very much aware that when I was applying for this apprenticeship that there wouldn’t be very many women in the industry, but I didn’t care! And I don’t regret it either – I am happy doing what I’m doing. I think that’s the sort of attitude that should be taken when applying for jobs that are often perceived as being gender specific, because if you have the drive, the commitment and the willingness to want a certain career, gender shouldn’t make a difference to your decision to pursue it or not. What has the response been like when you have shared your story with colleagues around the world? I’m on social media (LinkedIn, Twitter) and it’s been hugely positive. I have been overwhelmed by the support and encouragement that I have received from people all over the world. I have received a lot of advice from people who have been in the industry for many years, which I am grateful for. I have even received messages from parents asking how their daughters can get involved in the construction industry – which puts a smile on my face! What is coming up next for you and Laing O’Rourke? I’m happy operating cranes for Laing O’Rourke and Select! I want to gain more experience as an operator and keep seeing myself progress. I really like the fact that as a team, myself and the rest of the construction workers are helping build some amazing buildings and infrastructure projects across the country.